Looking for fast, high-quality and low-cost background removal service? Quickly and easily upload your photos to our website and let us turn them back in the shortest time possible. We use the best photo editing software available and so we can guarantee the outcome of the editing or we don`t accept payment! You pay us only when you are 100% satisfied!If you are in need for bulk background removal editing work, just contact us and let us make you a special offer depending on how big is your project. If you are in a hurry just click here to upload and send us your photos fast. There are a ton of photo editing software today who can help us make our photos look like we need to.Tools like Photoshop, Illustrator, Gimp and more, can remove the background from our photos easily and with high accuracy down to the single pixel, and leave on the photo only what we need. Clipping path and magic wand techniques can be used to create a selection of the desired element we want to keep on the photo and then just delete the rest elements in the photo, while the Background Eraser Tool is a different way that samples a certain color on the cursor of the PC’s mouse and then is deleting the pixels that are same as the selected color, in the range of the circle of the tool as we have adjusted it. Below is an image that shows how the background can be removed using the clipping path editing way. Background Removal on a photo has been a necessary photo editing action to be taken in many cases. When we shoot photos outdoors, and we don`t have the control of the scene, then we will probably need to edit the photos we take and keep on the photo only what is important for us. Or when we want to take a photo some specific object but the surroundings are distracting from focusing on it; then we can easily remove the distractions. Background removal can give the ability to make photos look totally different than they firstly were taken. By removing the background of a photo then the remained element(s) is shown more intensively, and can grab the attention of the viewer easier, as the photo is now displaying a more specific message. 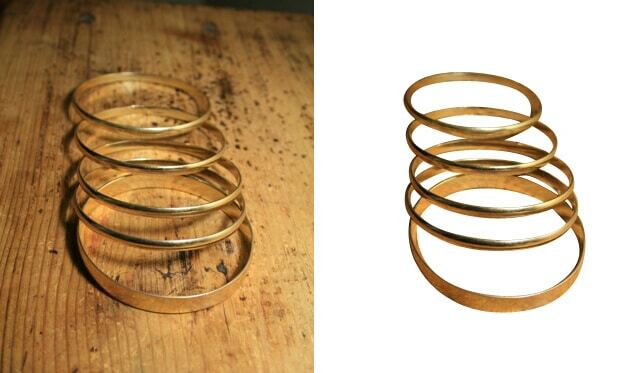 Background removal is useful when we want to make our photos look clean and focused in the desired part of each photo. So by isolating in a photo just what we want to be shown, we get the ability to present the story we want to say through each photo, without distractions from unrelated elements and we can pass our message to the viewer easier and more effectively. So by removing the background and keeping only what we want to show, we acquire a huge advantage on the way we want to present what we need to.And it is the right way to present also for the viewer as the story that the photo is telling or whatever it displays, is easily received by the viewer and is keeping the viewer in a certain “dialog” without distractions.It is very important to grab the viewers’ attention and keep them focused on what you want to show them. And in today`s time where the internet has to make possible to anyone to have a self-owning online store in which hundreds or even thousands of products can be listed to be sold, presenting the products in the appropriate manner can have a great impact on online business`s success. Surfing the internet looking to buy any product we need, we can go through several hundred e-shops that list product photos. Many of them have photos of products that look amazing and make visitors click on those photos and end up buying the product. But the vast majority of such e-shops are listing product photos in a not so appropriate way. Doing so, they hurt their business and make it hard for themselves to succeed. This is because the product photos they list, play an important role in making sales which are not obvious from the first glance and if there is not existent the know how about online business. Products photos listed in e-shops are, in major degree, the attention grabber of the viewers. And grabbing the attention of a visitor and make him click on your photo and get him in the procedure to buy a product is a point in all the sale process with huge importance. Let`s take a detailed view of this point to understand what it declares for the one who clicks: visitors who click on a product photo have a direct interest in the specific product, and they probably want to buy it, or at least would like to have some more information about it.So the intention of the visitor who clicks is now getting clear.So here is coming the importance of clear, nice looking and focused on the product, photos in the whole process.Photos with an irrelevant and distracting background that “hide” the shape and the product itself, will most likely gather fewer clicks and so will generate fewer sales if any at all.No matter in what condition and how good your product is in reality, presenting it in an inappropriate manner is making it difficult to be sold.And this because the photos are not showing the products as they should, as they are not showing clear the product itself, they are not showing the product from its different angles, and most of the times the background is irrelevant and distracts the viewer from focusing on the product. All these create a negative impression and trigger negative mind and psychological factors to the viewer and make him walk away from such an inappropriate and “ugly” thing. So far to this point in this example, a viewer with a “buyer intention” has walked away from a possible purchase, due to an inappropriate product photo presentation, of a probably high-quality product he was looking to buy! Let`s now look at the other side, of listing product photos that are clear and present the products in different angles, have empty background and toning the shape, and are making viewers focus on the product itself.At this case, all the above create a clear image to the viewer about the product, that most likely the photo will grab his attention and will make him click the photo!But let`s analyze in short what it practically means that a click is made: so after a click is made, then the viewer with the “buyer intention” is coming into the sales mechanism.And if this mechanism is yours, is now probably going to buy that product from you, and not from your competitors! Which of the two different versions of the same product do you think will gather more clicks? We hope we have made the importance of appropriate product photos listing clear! Presenting through your photos what you want to show is a factor that has a great influence in any use of the photo, either for personal use or business purposes. And as been said a picture talks 1000 words, when we have to show anything through a photo then we better take into account how we can make each photo talk as more effectively as possible, and avoid in any way to make it talk negatively about what we want to show. Here we come to help you make your photos look amazing and present your products online in the best way and grab the attention of your visitors and make them come to buy your offers! We provide highest-quality, down to pixel photo background removal outcomes in the lowest prices in the market! Our experts have over a decade of experience and can absolutely make your photos look amazing! We use the best photo editing software available today, and we guarantee the result of each photo or we won`t accept payment until you confirm your 100% satisfaction! So, search no more!Click to upload your photos and place your order with your instructions, and we will process your photos accordingly!